1) Put the coconut oil and pears in a small pan. 2) Add the coconut sugar and cinnamon. 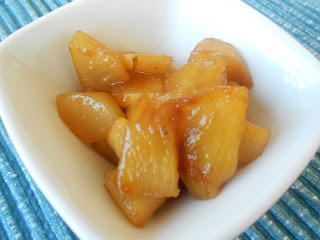 3) Simmer in low heat until the pears are soft and the sugar melted.